Okay, I'm happy to see you back...really! so happy! 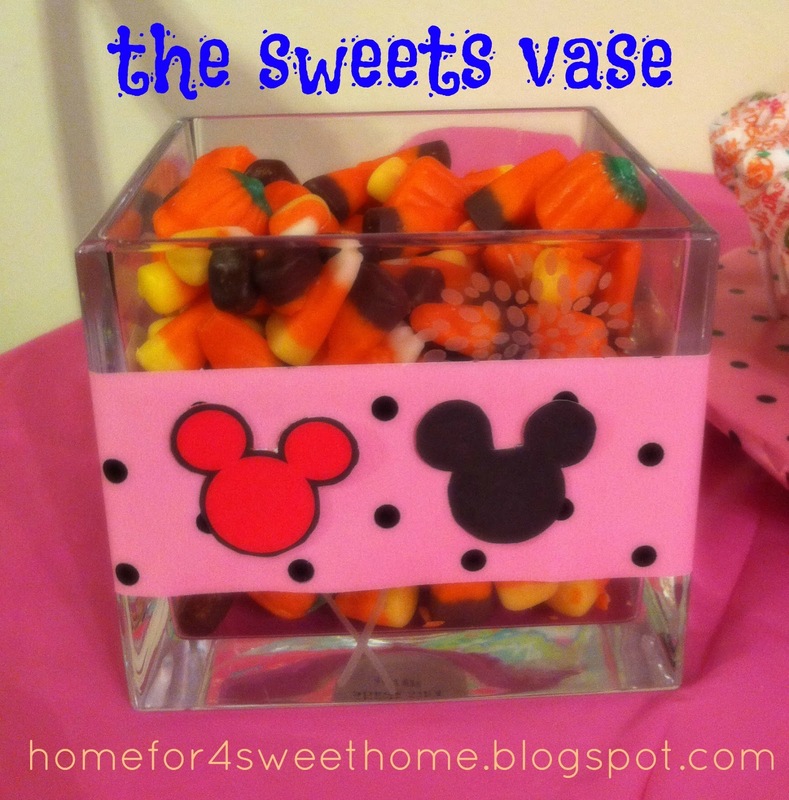 But if you're a first-time visitor to my blog, here's the post of The “Deets” of My Daughter’s Lollipop Plate. This one is easy peasy. Filled the vase with some sweets and that is it! Yup! Pretty hard to believe that this is my first time to bake cupcakes even with 2 little kids. Well, I guess it was easier for me to buy than to make. Anyway, there is really nothing to brag about my cupcakes because I did not make this from scratch, it is from the box. I'm still proud of it though, lol! I just stick a minnie mouse lollipop in the middle of the cupcake so kids can eat it too, instead of usual rings that you see on top of cupcakes. The kids love it and you know what? 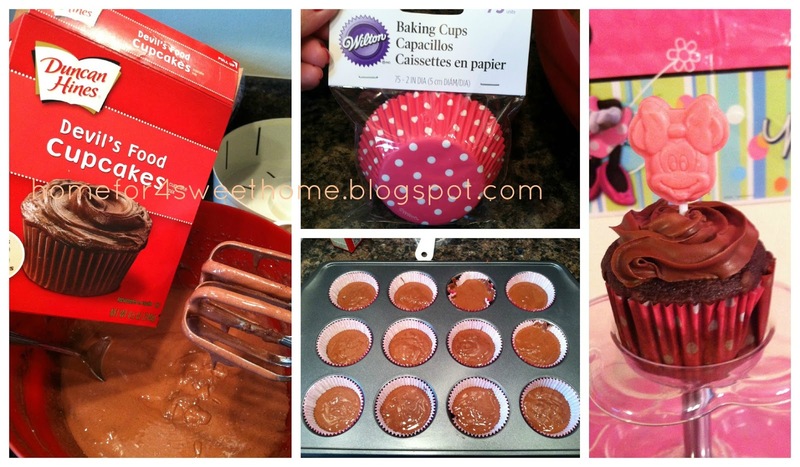 I think I'm going to make more cupcakes in the future! I hope you had fun reading this post. 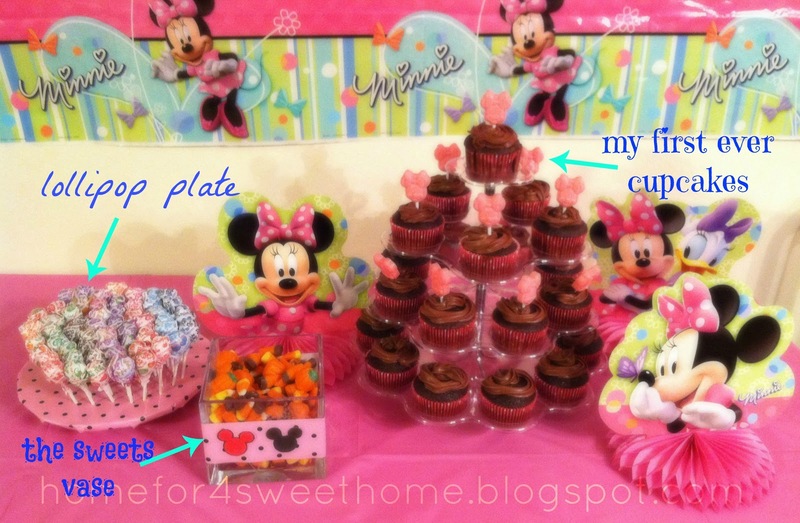 I want to thank my pinterest inspiration on this minnie mouse birthday party. If you follow me on pinterest, you'll see it there where I was inspired by this. What about you? Did you ever have to do something for the first time, for the love of your child? Hi Maria! Thank you so much for linking up to the Fun Friday Blog Hop, I hope you had fun meeting new bloggers!